Why Buy From General Kinematics | Fuller, Ritchie, and Sturgess, INC.
Extensive install base: 40,000+ installations in 35 countries. 24/7/365 customer service and support, with the ability to have a GK service representative on-site anywhere in the world in under 22 hours. Available same day shipping on all off the shelf, in-stock components. Industry leadership in innovation... 4 times the patents than the next leading vibratory equipment manufacturer. General Kinematics has the largest install base of vibratory foundry equipment in the world. All U.S. and many leading European automotive manufacturers choose General Kinematics vibratory equipment to solve their vibratory process solution needs. 100% after-sales customer support: GK has never walked away from a customer with a problem in over 45 years. General Kinematics is now the preferred solutions provider of our competition. When other vibratory equipment suppliers can not get their equipment to work they call GK's customer service department to solve their equipment problems. 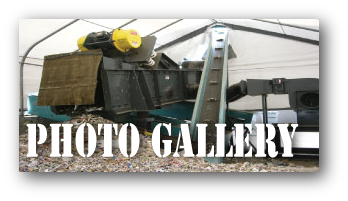 General Kinematics is recognized by the editor of the leading recycling trade journal as providing the best recycling system solution to the C&D industry. 150 power plants in the US trust GK vibrating feeders to keep their coal flowing. General Kinematics is the only heavy-duty vibratory equipment company certified in ISO 9001. General Kinematics partners with our customers to provide vibratory equipment that improves their throughput, increases their profitability, and reduces maintenance costs. The employees of GK genuinely want our customers to be successful in their businesses, and will do all they can to provide you with equipment and solutions to do so. Copyright © Fuller, Ritchie, and Sturgess, INC. All Rights Reserved.